Doing a photo shoot in Berlin with models Candy Flip, Olivia Kundisch, and Italian actor, Emilio De Marchi. The location is the building that housed the Ministry of Interior for the former East German government. Amazing location and an amazingly piece of history. 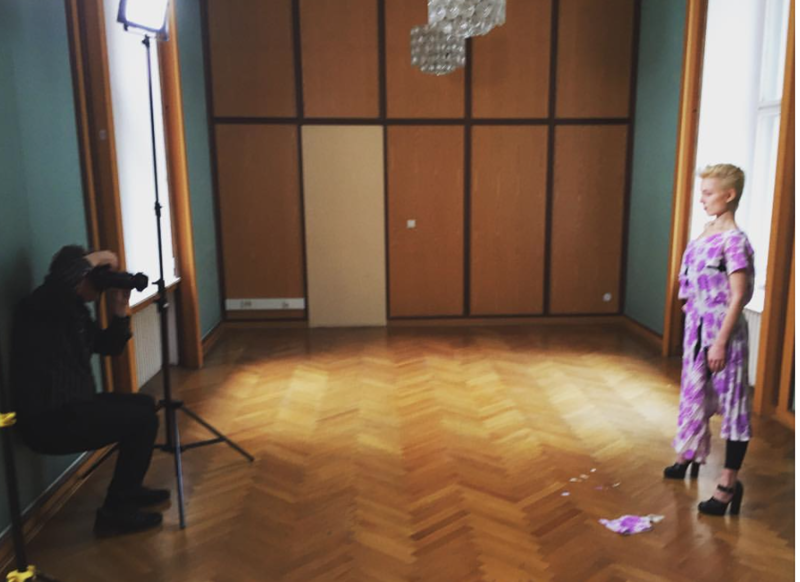 James Carman shooting model Candy Flip in the former East German Ministry of the Interior.